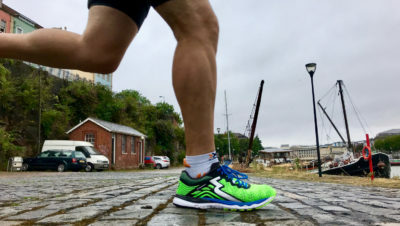 This was my second chance to test out a pair of 361° trainers. Previously, I tested out the neutral Spire 3 and really enjoyed the fit and function. This time around, I got to slip into a shoe designed to add a bit more structure and stability. Full disclosure, I have a neutral foot, so I was a little skeptical to try a stiffer, more stable trainer. However, I found these comfortable, well-designed and with enough flexibility they work well with a variety of biomechanical foot types. These arrived the day before I was scheduled to do a longer run around a 5k loop. The route was a mix of dirt track and road, a perfect combination for this type of trainer. So, I decided I’d take them on the first or second loop and then switch to the pair of Spire 3’s that I’ve been wearing previously. Six loops later and I was still rocking the Strata 3. A pleasant and welcome surprise on an out-of-the-box first run. 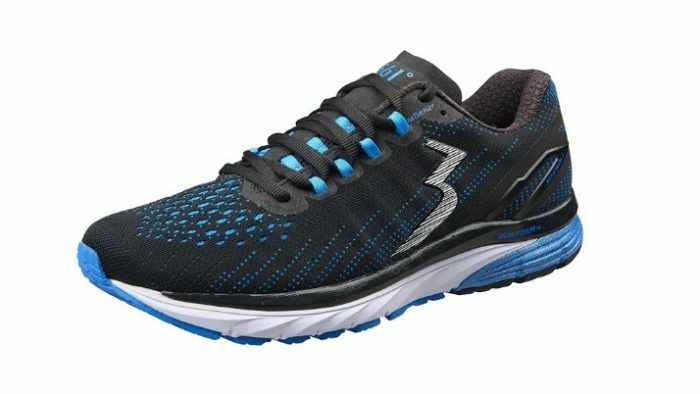 The Strata 3 is a comfortable and smooth ride and I find myself excited and intrigued by 361° and their line of trainers. A similar fit as the Spire 3, the Strata 3 would accommodate a varied range of foot shapes. The toe box is spacious with a seamless and supple forefoot, with a pressure-free tongue design which allows for a snug midfoot fit. 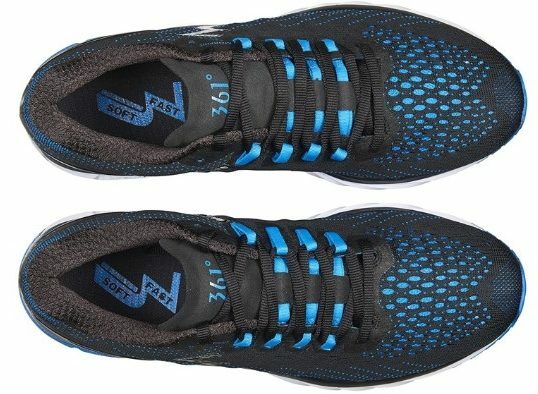 The MORPHIT lacing system (which is a multi-dimensional lacing design) hugs the midfoot comfortably, allowing for a form-fitted midfoot which didn’t require me to uncomfortable tighten the laces. The heel cup is soft with a medium depth, which allowed me to securely “lock in” without having to pull the laces so tight. Overall, it is just a comfortable out-of-the-box fit. You may find this weird, but one thing that stuck with me for the Strata 3 were the laces. Over the years companies have tried to revolutionize the lacing system. Often this results in complicated Kevlar pull chords, turn-dial tighteners, round laces or something so weird I wouldn’t know how to work it. I am always surprised no matter how advanced the technology is, they loosen, untie or even break. I generally replace them with classic flat laces, so I was glad to see these shoes come with classic flat laces that stay snug and complement the MORPHIT midfoot design. I am a big fan of the midsole QU!CKFOAM technology developed by 361°. It is a unique feel that I haven’t found in other shoes. The QU!CKFOAM midsole provides that comfort and cushioning one would want on a harder surface without losing the energy on the push off. There’s obviously been a push towards minimalist and maximalist shoes in recent years. 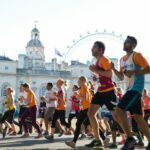 Most of the time, the maximalist shoes are too soft and make you feel like you waste a lot of energy, while the minimalist shoes give you that response, but fail in providing the support and cushion you buy a shoe for. 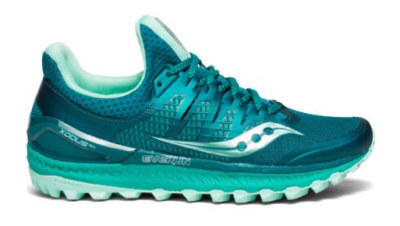 The QU!CKFOAM technology of the Strata 3 (and the 361° line) provides the perfect balance between the comfort of a maximalist shoe with the response of a minimalist shoe. 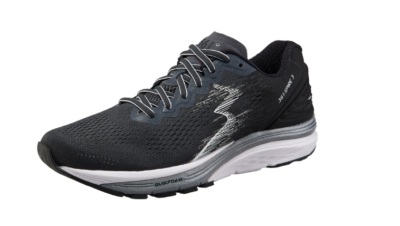 The medial support of the Strata 3 in the form of a EVA arch adds a bit of stiffness to the midfoot torque, and along with a flexible and durable outsole, it helps guide the foot in a natural motion. A great feature for someone with mild to moderate overpronation. I really have been enjoying the 361° trainers. 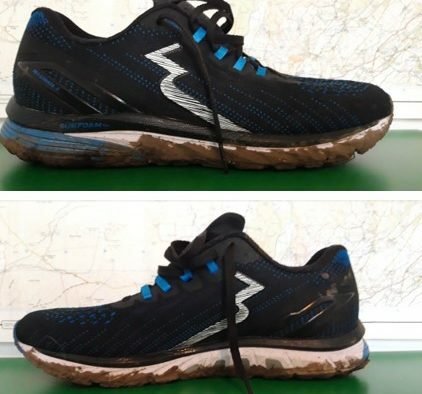 Overall, the Strata 3 fit well, performed well on a variety of terrains, and provided a smooth ride. I wasn’t familiar with them several months ago, but after my second pair, they have become a great trainer for my runs around town. I look forward to putting in some more miles on my Strata 3 and look forward to seeing what 361° comes up with next. • Lightweight and seamless double jacquard mesh for maximum ventilation and comfort. • MORPHIT lacing system – a multi-dimensional lacing design that comfortably harnesses the foot securely during dynamic movement. • Medial EVA arch sidewalls help to slow the rate of pronation and provides midfoot support. • Full length QU!KFOAM for springy responsiveness. • External QU!K spine (TPU shank) for dynamic stability. • FITZ-RITE midfoot interior utilizes a distinct pattern to support the foot medially and laterally. • QU!K flex forefoot engineering provides for natural and balanced toe off while enhancing ground contact for better acceleration. For full product information see HERE.